It seems to me the proposed development in Charlton is just what is needed to draw people to the area. 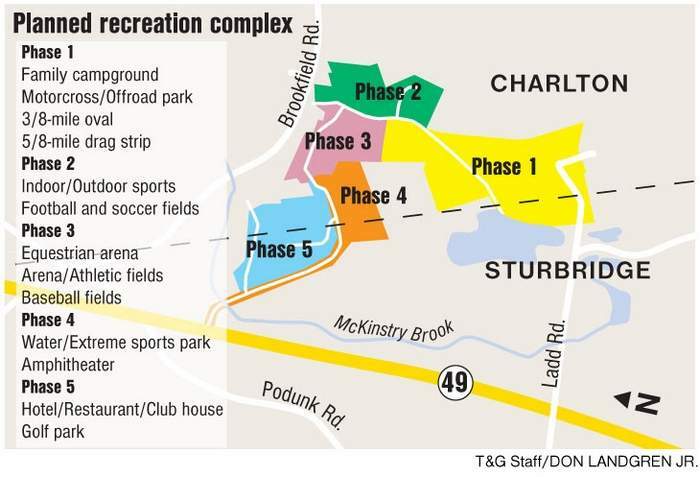 Unfortunately for Sturbridge, it will draw people to Charlton. For all the talk about making Sturbridge a "destination" there's been very little action. Let's create an attractive appearance so that when people drive through (on their way to Charlton) Sturbridge will be a pleasing sight in their rear view mirrors. Perhaps Save our Sturbridge could be revived for the purpose of buying up all the vacant properties in town in order to preserve our "quaint" community. Quaint is a real people magnet, right? Can't you just see thousands of people wandering through the woods of Sturbridge? Maybe...(before they head over to Charlton). Perhaps we would no longer have to be subjected to the incessant demand for more (unnecessary) athletic fields. A real money maker, right? Our local boards and authorities certainly should "keep an eye on " the project in Charlton. It should be a jealous eye because enterprising people in the next town over actually have a plan that will make them a destination. If the noise is not that big of a factor there are not many negatives about this project. The area is lacking in things for younger people to do, at least i have heard that many times. If it draws people to Charlton it will have a positive impact on the businesses in our town. Ball fields that someone else wants to pay for, cant beat that. Water park and amphitheater, sounds good to me. A local concert venue is something i have always wanted to see. Every time i go to a concert i go out to a local restaurant. Our town is not a destination, this place has the potential to be one. We will reap a lot of benefits of it without most of the cost associated with it. When i drive to Clem's i wonder why that area has not been developed at all. While i enjoy the "ruralness" of area that seems like a good place for some development. I hope the project gets to move forward with the appropriate scrutiny from Charlton. I have not heard much more about this. I figured it would be all over the T&G. I have a feeling this is never going to happen. Too bad in my opinion. If i was to live close to it i would have a different opinion i am sure. NIMBY, yup, guilty as charged. Still think it would be good for the area.